​Have you ever wondered if you were meant for more? More than what the world wants to offer you? Even more than what you have planned for yourself? Have you ever wished to live with more faith? 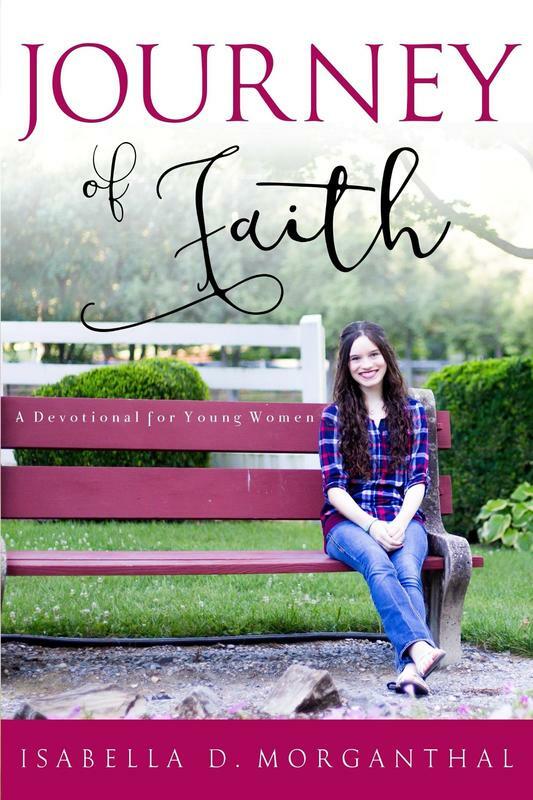 In Journey of Faith, Isabella Morganthal wants to encourage you to live a life of faith that honors God. She has compiled some of the articles from her last two years of blogging and turned each of them into a daily devotional. Each devotion is meant to remind you that walking your journey of faith may not always be easy, but it is always worth it. Jesus is always worth it. Journey of Faith also features articles specifically for writers, special author interviews, and even some fun quizzes and resources. If you’re ready to start living with more faith, then start reading today. And let’s walk this journey together.